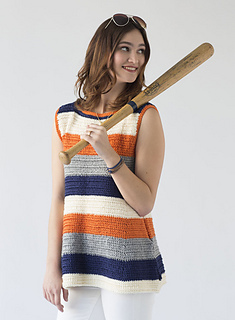 Wide stripes and a swingy silhouette make this tank easy to wear any day. To find this pattern, purchase the AprilMay2014 issue. If you have specific questions about this pattern, please email the editorial staff.